When it comes to improving your smile, teeth whitening is one of the simplest and most popular options. The beauty experts at Treuvís Eyes Nails Body Laser Spa in Clinton Township, Michigan, can brighten and whiten your smile quickly with BleachBright. To schedule your teeth whitening session, call the office today or book online. Teeth whitening is a cosmetic treatment that improves the brightness of your teeth. It’s one of the most popular cosmetic treatments because it’s quick, safe, and effective. This may not come as too much of a surprise that the food and drink you consume stain your teeth. The most common culprits include berries, wine, coffee, and tea. As you get older, the enamel on your teeth begins to wear away, allowing the dull, yellow dentin underneath to show through. Certain medications can affect the shade of your teeth, including antihistamines and blood pressure medications. Getting hit in the tooth may cause an injury reaction in which the tooth lays down more dentin as a form of protection that also leads to a darker shade. Nicotine and tar in cigarettes also cause yellowing and browning of the teeth. 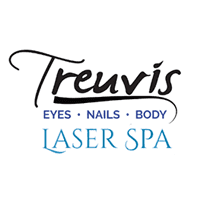 To help you get the brighter, whiter smile you want, the beauty specialists at Treuvís Eyes Nails Body Laser Spa use BleachBright. This innovative teeth whitening system can lighten your teeth 2-8 shades brighter in 15 minutes. BleachBright is equipped with BB-Cool Advanced III light, which has the capability of whitening your teeth at the speed of light. During your teeth whitening session, your specialist places the pre-filled teeth whitening tray in your mouth, and then the BB-Cool Advanced III light is placed over your mouth to stimulate the carbamide peroxide to accelerate the whitening process. Your teeth may feel a little sensitive after your session, but these side effects usually disappear within 24 hours. The specialists at Treuvís Eyes Nails Body Laser Spa recommend you avoid teeth staining foods for the first 24 hours after your teeth whitening treatment. How can I maintain my bright smile? In addition to brightening your smile, the BleachBright teeth whitening system also offers Bluminerals™, which is an enamel boosting gel that protects your teeth from future stains. The specialists at Treuvís Eyes Nails Body Laser Spa place the protective gel on your teeth and place the special LED light over your mouth and in 10 minutes your teeth are protected. 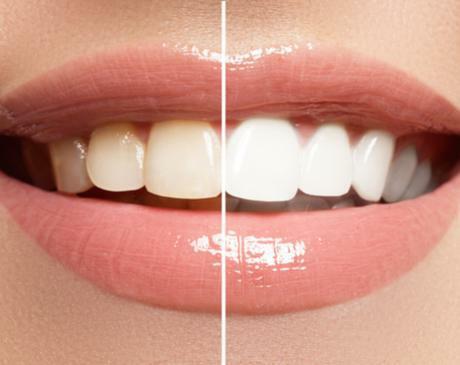 To schedule your teeth whitening treatment, call Treuvís Eyes Nails Body Laser Spa today or book online.